Por Redacción Oval Zone, el 1 abr. 2016 a las 5:25h. Ryan Shea, el Jefe del Chevrolet No. 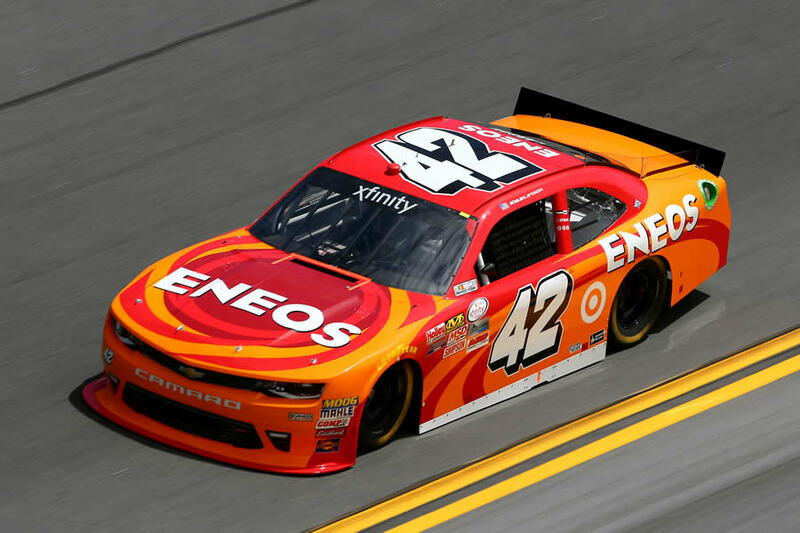 42 del equipo Chip Ganassi Racing en la NASCAR XFINITY Series, murió el miércoles por la noche en su casa de Troutman, North Carolina, anunció el equipo. Tenía 34 años. "Hoy es un día muy triste para nuestro equipo al lamentar la pérdida de Ryan", dijo el dueño del equipo Chip Ganassi en un comunicado. "Ryan fue un trabajador dedicado y un gran amigo de todos los que trabajamos en este equipo y el resto de las personas en el garaje. Nuestros pensamientos y apoyo están con su familia y amigos en estos momentos difíciles". Shea había trabajado antes en el equipo Michael Waltrip Racing antes de llegar a Chip Ganassi Racing en 2015. Kyle Larson y Justin Marksse han alterando al volante del Chevrolet No. 42 esta temporada. "Ryan was a tremendous asset to Chip Ganassi Racing and the No. 42 team and will be sorely missed," said crew chief Mike Shiplett. "My thoughts go out to his wife, children, family and friends in this time of mourning." Chip Ganassi Racing will communicate further details regarding funeral arrangements and memorials as they become available. Ryan Shea will be greatly missed by this community. He is a model to follow in this sport. Our thoughts and prayers are with his family. Wow shocked to hear about the passing of Ryan Shea. He was my car chief in 2006. Thoughts and prayers to Cory and the Shea family. It takes days like today to remember just how fragile life is. Shea was a great teammate and he is already deeply missed. Thoughts and Prayers for Ryan Shea, his wife and kids! Such sad news.